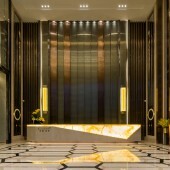 A' Design Award and Competition - Profile: Flora Lau Designers Ltd. Profile: Flora Lau Designers Ltd.
Home > Designer Profiles > Flora Lau Designers Ltd. This is the public profile of Flora Lau Designers Ltd., Additional information and high-resolution images are available for accredited press members, to access additional information about Flora Lau Designers Ltd. please login as a press member. Awards received by Flora Lau Designers Ltd.
Press Members: Request an exclusive interview with Flora Lau Designers Ltd..